It looks golden with orange highlights, thinly veiled, and the foam is rich and creamy. 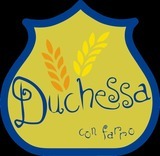 Beer brewed with spelled, traditionally grown in the Regional Park of the Monti della Duchessa. The nose is very broad, fruity (banana, pineapple, tropical fruit) and floral, with a light and pleasant peppery. In the mouth the carbonation is fine, there is a slight acidity and the body is adequate. Hopping is moderate, the ending very pleasant, cool.